Rhinoplasty is the medical term for the cosmetic surgical procedure commonly referred to as a “nose job.” When most people think of a ‘nose job,’ they more likely than not are thinking of a cosmetic procedure to improve the shape and appearance of the exterior of the nose. 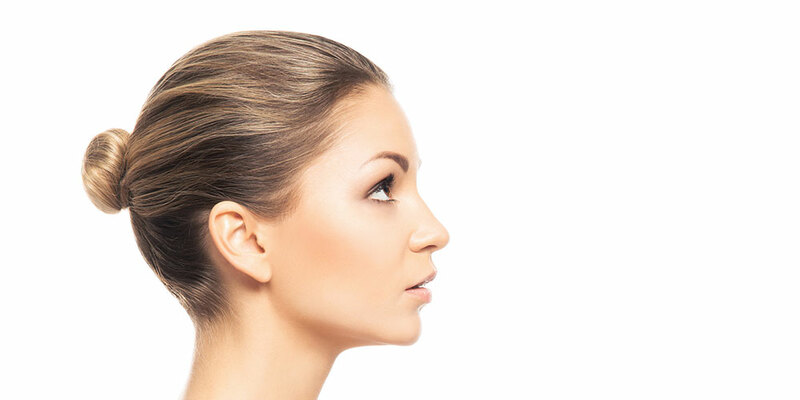 However, not all rhinoplasties are performed for purely cosmetic reasons. A functional rhinoplasty shapes the interior passageways and exterior structure of the nose to help improve breathing. The primary benefit is improvement in nasal airflow, but the procedure may also straighten the nose, repair post-traumatic or congenital deformities, and improve the nose’s overall shape and appearance. In order to restore proper function to the nose, functional rhinoplasty frequently requires adjustment to the outward appearance of the nose as well as its internal structures. In this way, a functional rhinoplasty is distinguished from a similar surgical procedure, septoplasty, which involves only repair of the internal wall that divides the nasal cavities. During the procedure, the surgeon will make tiny incisions in and under the nose to allow access to the underlying cartilage and bone. In order to achieve full benefit from a functional rhinoplasty, cartilage or bone may need to be obtained from another site, such as the ear or rib cage, to help build structural support for the new nasal structure. Once the underlying bone structure is in proper place and shape, additional reshaping or grafting may need to be performed on the cartilage with the assistance of specially placed sutures. Then, the nose is packed and taped in such a way to best support the healing process. Most patients experience immediate functional benefit and many may experience improved cosmetic benefit after healing is complete. Functional rhinoplasty is a very effective treatment for resolving congenital defects, traumatic injuries and internal problems that affect the overall nose structure and nasal breathing. Patients considering functional rhinoplasty should consult with a board certified plastic surgeon in their area who would be willing to make a professional assessment and discuss appropriate treatment options. Contact Beverly Hills Plastic Surgery Group today if you believe you’d benefit from the rhinoplasty procedure in Los Angeles. We’ll schedule your initial consultation and go over everything you need to know.